We, Arise Construction Equipments, were inaugurated in the year 2013 as a prominent manufacturer, supplier and trader of a comprehensive range of Construction & Material Handling Equipment. Used specifically in construction applications, these machines have been brought forward for offering convenience and efficiency to our customers, required while working on large scale construction projects. We have assorted Batching Plant, Concrete Mixing Plant & Mixer Machine, under the wide range of our offerings and assure our industrial users superior performance for these machines. Further, our clients can also avail from us after sales services. 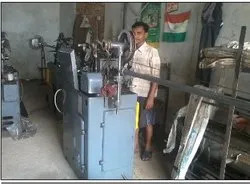 It has been possible for us to bring forth an impeccable range of machinery, backed by ultra-modern infrastructure and team of skilled professionals. We have developed our workplace, equipped with latest equipment, so that fabrication procedure could be conducted in an effulgent manner. Our professionals are competent and have the zeal for striving for excellence in the fabrication of offered outcomes. With our objective to make our customers satisfied, we have been offering our products and thereby ensure our customers an enriching experience on the account of choosing us as their sourcing partner. 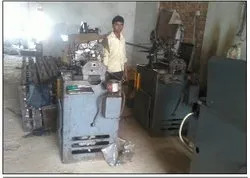 Our offered range of machinery is fabricated using qualitative components, as per the approved industry norms, resulting in flawless configuration. These machines need low maintenance and can be operated without any trouble, which makes sure of their effulgent usage in the construction industry. Throughout our journey, we have been a name responsible for offering best-in-class products and are committed to carry this fruitful approach further. A name which has enabled us in becoming a reputed and trusted firm in the specified business is of Mr. M.S. Singh. He along with his exceptional ideas and visionary skills, has established coordination and harmony at the work place and managed the whole organizational structure in a brilliant manner. We are now a name whose products are considered to be best-in-class in the market, owing credit to our hard working professionals and our ethical working policies. We are backed by a team of efficient and professional members who are well versed with the process of our manufacturing methods. Our presence in the industrial market for such a long duration has helped us to introduce new mechanisms that help in increasing the output of our range of machinery. Our mission is growth through innovation and ideas. We believe in building successful long term relationships with our customers by offering integrated solutions and services exceeding their expectations! It is our endeavor to grow continuously and offer better services to our customers. Throughout our modest journey, we have been focused on delivering qualitative range of products in the form of construction machinery. For this, we regulate the whole manufacturing procedure as per the industry set norms. We source our raw materials from the certified names in the industry and after several quality check measures, these materials are used in the production process. We assure our customers qualitative offerings, backed by our stringent working and business procedures. Achieving and maintaining optimum quality standards has always been our prior target and we feel proud in executing our planned strategies, resulting in a flawless range of products. Our vision is to provide innovative, world-class, construction equipments backed by technically competent serving capabilities, with the prime motive of satisfying each and every customer beyond the expected levels of business excellence. We intend to be the largest selling construction manufacturing company beyond boundaries by adhering to world class standards through strong R&D efforts, sophisticated manufacturing equipment, strong after sales support and vast global reach. It has been possible for us to make our name known in the specified domain, backed by our team of diligent experts. We have employed professionals with years of experience in the specified domain. These employees are appointed after performing stringent selection procedures and thus, make significant contribution in conducting the organizational tasks. Divisions have been made at team level to keep the working procedures hassle-free and convenient. Being a company following stringent working policies, we have been able to bring forth best-in-class machinery. Working on these client and quality-centric principles, we have become a certified name among our client base and thereby, assure them increased efficiency and productivity on the account of using our products. World-class infrastructure, dynamic professionals and exceptional guidance of our mentor has enlightened our path and added glory to our name. Our customers have always been our first priority and for that reason, we have brought forward machines that will offer them optimum productivity during their applications. We have developed our infrastructure over a wide area and equipped it with latest and modern machinery. The whole fabrication procedure is performed in a hassle-free manner, owing credit to our organized infrastructural facility. There, we have created segregations, leading to several individual departments. These departments individually perform and regulate their assigned tasks and bring forth outcomes characterized by flawless features.